Ama dablam Climb attempt offers the most radiant, specialized climbing experience in the Himalayas of Nepal. Ama Dablam being one of the world’s most great mountain crests lying right at the heart of the Khumbu valley in Nepal. Because of its special, strongly pointed soaring shape, climbing this sheer pinnacle is a definitive dream of numerous climbers a round the world. They try to overcome it and stand on the unimaginable summit with its nearby all-encompassing views of great Mt. Everest, Lhotse, Cho Oyu, Makalu and numerous more Himalayan pinnacles. This expedition requires good climbing experience and if you think you have the knowledge and wish to be part of an exciting expedition led by experts towards one of the most challenging peaks, then this your chance of fulfilling that wish. The journey to the peak is unforgiving, yet satisfying, filled with every obstacle imaginable. You will scramble, stumble, encounter a base camp lying in a meadow with a stream and breathtaking views. As this is a challenging expedition, climbers need to have good knowledge rock and ice climbing. It is a must to have good knowledge and practice of the skills of climbing on steep rock and hard compact ice. The routes are mostly covered with fixed ropes but inexperience is not going to help.We take after the standard South West ridge course to the summit as it is viewed as the most secure course, free from most threats, for example, avalanches. Amadablam climb initiates by taking scenic flight to Lukla and set off on the well-trodden course to Everest Base Camp. for proper acclimatization, we stop to the Everest Base Camp trek before we climb to the Ama dablam Base Camp. Our crew totally stock our AmaDablam Base Camp with nourishment, different arrangements and all the essential climbing apparatus and medical supplies while the climbers are on their acclimatization climb. Let you first know about the different camps of the Ama Dablam. 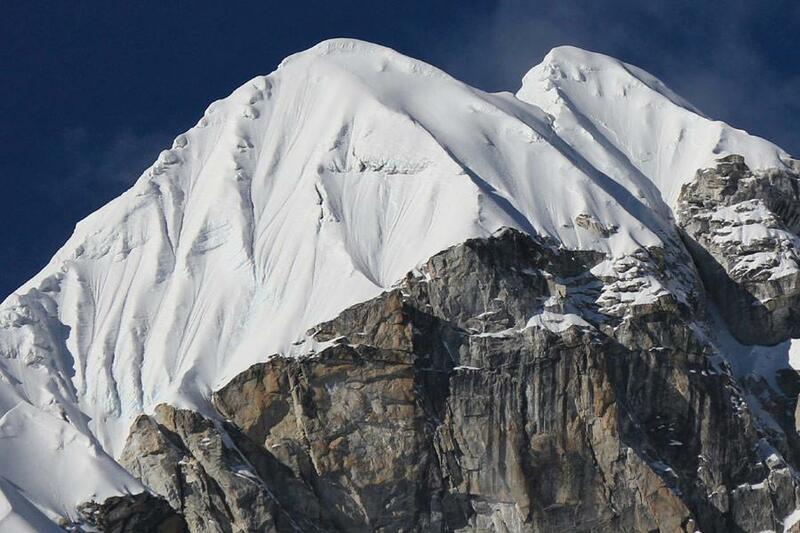 There are three camps above the base camp before we summit the panoramic mountain i.e. Ama Dablam. The ascent from Base Camp to Camp 1 is technically challenging. From Camp 1, we move ahead following existing fixed lines. If necessary we will make new ropes for both ascent and descent. Composition of mixed rock, snow and ice makes the climbing form Camp 2 to camp 3 more difficult. After we step on the peak, we return back to the base camp. The Ama Dablam Base Camp is used as the base station for the span of our Ama Dablam campaign in Nepal. 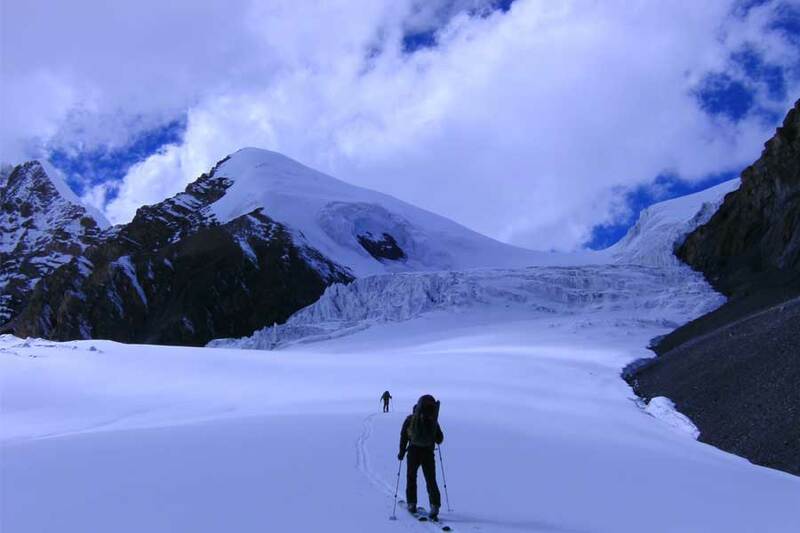 Climbers must pass through the hardest and the toughest part of the journey, passing through the difficult saddle ridges. after that we should turn to the north climbing up through the rocky ground and through the boulders until we finally reach Camp 1. From Camp 1, one must cross the rocky bowl and should climb the ridge with the help of fixed lines to reach Camp 2. 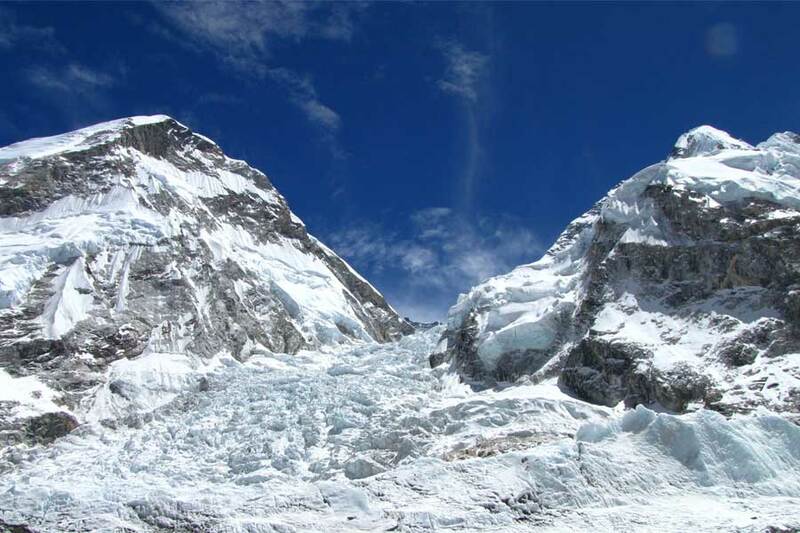 The climbing route from Camp 2 is mostly covered with steep alleyways mixed with rock, ice and snow. From this camp, we move forward to our zenith and begin climbing to the ridge and move eastwards leading to the gully between the Grey Tower and other rocky structures until we reach Camp 3. We start our push for the summit from Camp III following the southwest ridge to the crossing many dangerous and deep crevasses. It’s a steep climb over ice and snow until we reach the top. The delight and pride you will feel in conquering the fantastic Ama Dablam Climb is unimaginable. The challenging attempt to the Ama Dablam summit will reward you with an exceptional, amazing, all-encompassing mountain view and everlasting recollections that you will treasure all your life.